Just when I had finished yesterday's post I got a phonecall. And guess who it was?? The store where we bought our new curtains, telling me they arrived. So Jan said "we'll go tomorrow". And just when I was doing some ironing he came to me and asked if I was ready to go! He knows me, I probably would be jumpy all day, so we went there. And oh my God, how lovely they look!!! I am the kind of girl that wants to hand them right away, and a bit pushy as I can be at times(yeah, I know myself rather well LOL) I took out the ladder and started at the back of the room. Jan at first was a bit grumpy, but then took over and after a while all the curtains were on their place. And it looks GOOD!!! I'll have pics of them tomorrow, but gosh, it looks soooo much better. Even Jan had a little smile on his face after a while and was happy with it. The old curtains(they were really OLD) were thrown away, really no use for them anymore. Another step done in redecorating and changing our home. Still a few things are left to do, but as you see, going steady ahead does the work too! LOL. Now in a few days we will be nanny again for the pets of Heidi, a goldfish, a rabbit and a bird! May be the rabbit will get a chance again to have some walks again, and then it will be time to walk in his path to gather his poopes again I am sure! We only must take care that he doesn't jump on the couch! And the fish and bird have to be in a safe spot, where our cats cannot reach them. Normally they don;t bother too much, but you always have to be careful, certainly with Dikkie Dik! So yesterday was filled with quit some other things than planned, therefor I have to do some things today, get us some bread and a few other things, I must finish the ironing too. But we have a bit more time today, because there is no soccer today and tomorrow. We can get ourselves all prepared for Friday, for Netherlands against Brasil! Okay, enough rambling done, I would like to take my second coffee and then move on. I promised you a kit yesterday and so it will be. It's not a BIG one, but I think not too bad. It's named "Hidden Passion". Have a wonderful day and look at the slideshow on top of the blog: it's already the new daily download for July of the forum!! You probably guessed already by the post title: our team won their game against Slovakia and are in the next round. Now we are up to Brasil on Friday! Everybody of the team on our forum has been busy with making previews and uploading files for the next month daily download. That is almost done, so I hope it will all be ready in time. I can give you a sneek preview of one of my contributions, so you have an idea what's coming. I really can say it will be another great kit! I have some more pics to show you from our Saturday walk. Here a froggie in the ditch. Oh my, it was a really hot day yesterday! I did get my groceries, but then I wanted to do some ironing, but I skipped that! It has to be done today, as it is a little less today, even a bit cooler, but I saw on tv that it is only for one day and towards the end of the week it will be really bloody warm! As it should be in summer LOL! And then there was the soccer at 16.00 0'clock, of our team. Although I didn;t think they played a brilliant game, they at least managed to win, as you know by the start of this post, hahaha. Oh yes, almost forgot! Yesterday morning, just waking up, I went into the kitchen and what did I see moving in a flash????? A rat!!!!! Yes, really, it was about 20 cms. big, without counting the tail. WHEEEEEEEE!!! I DON"T like the creatures. Now we do have some holes and chinks in that floor, but never thought they could get through them. I knwo that there are rats under the floor, they come from the street and dig themselves through the sand. But there is a difference to have them UNDER the floor, or IN the house!!!! I told Jan and he said he had also seen one the other day. AND WHERE WERE OUR CATS AT THE TIME THE RATS WERE KNIBBLING ON THEIR FOOD??????? Nowhere!!!!!! Useless they are, not willing to work an inch for their housing and food!!! L:OL! But then I got a brilliant idea! I remembered we should have somewhere standing a spraycan with Pur foam, and that should do the trick for the moment to close the holes and chinks.. So Jan indeed found the spray can, did the job and it seems to work fine! Hoorray! Glad we got rid of that!!! Well, got to do some things today, so I better finish now. I have the last part of the roses bragbookpages and tomorrow there will be a kit again! Have a wonderful day! Oh whee, we really do have summer in Holland! The last few days were fabulous and all this week it stays that way(they say). It's between 70 and 80 F but in our garden sometimes 90 or even 95!!! But.... I am not complaining. Let's be happy we can live with open doors and go out without jackets and such! Saturday we were brave and took and walk, not too far but still nice. And we passed a little spot, not far from home, where you are really in the green and that in midle of an area with all houses and traffic! It's a small path along a ditch. And I made a few great pictures there. There were flying masses of small dragonflies and in flight I couldn;t catch them, but I still managed to get one on a leaf! I am sooo proud of myself LOL! Here a pic of the path and a flowering jasmine. And also a pic of a canal, where are a lot of house-boats! I would LOVE to live in one, well, in some of them, because there are beauties between them. And I have more pics to share, yeah!! You know we have some frogs and toads in our garden. Yesterday evenings Jan was a moment in the garden and came in smiling, telling me one of our "visitors"had found a great spot now that the sun was down. Well, I had to see, of course and I took my little camera, you never know! So I tried my hand on the visitor and look the result! Don't you think it has a touch of mystery about it?? Time to finish this post, not leaving though without a freebie. 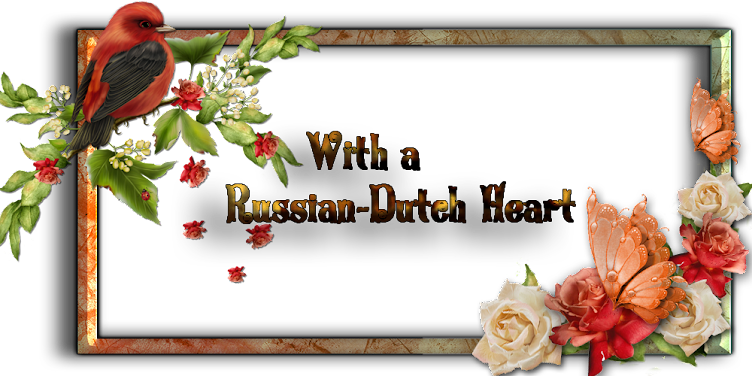 We will finish first the serie of bragbookpages, All the Roses, after today still one to go. Have to get around a bit today, a few groceries to catch, and some house work, hmmm, will have to do that a bit earlier than usual, otherwise it will be too warm for it. No, NOT complaining, just trying to be smart, LOL! AND I have to be ready in front of the tv at 16.00 o'clock: The Netherlands is playing agains Slowakia!!!! Cross your fingers, because i think it will not be an easy game!!!! You all have a wonderful day now and see you tomorrow! It looks to be another gorgeous day, let's see what we can do with it. Yesterday we had quit a filled day! In the morning we took time to relax, so we had our coffee, morning sandwich, I took a shower, and such things. Early afternoon Jan suggested we take a walk, perhaps into town centre. Well, why not, so I joined him. In a part, around the government buildings, often there are outdoor expositions of all kind of art. So at this time. First we looked at some art of a Dutch artist, it was funny I must say. All her art pieces were exposed in a little glass greenhouse, so it was hard to get good pictures. The pieces represented e.g. pillows, and a couch with a men's figure on it, made of marble, but looking at it, you really could believe it was made of tissue! A bit further on there was and expo of a Spanish artist, Valdes, who hade made statues of bronze. Here I made a few pics. And I liked looking at them, in a way it had something mysterious. I think it is not too bad for rather modern art! Then I knew a bit further on there was an expo outdoor of pictures of wildlife, made by several photographers and as we were in the neighbourhood, why not take a look at them.? It was fantastic! And I would have taken a pic of every big picture if I could, but sometimes the light wasn't right for it. Still, I tried my luck on some of them and I think they turned out rather well. Aren't they beautiful???? Oh, there were so many others I liked to make too! The photographers did a fantastic job, and what a patience they must have had for some of the pics! We even discovered a hidden place in the old town centre! Normally a lot of the small yards, or parking places of old buildings are locked off with gates or so, this time at one we saw the gate open. And curious as we are, we sneeked in! And what did we find? A part of a wall of a Dominican cloister out of the 1500's!!! Never knew that was there!!!! So you see, even after years you can learn something new about your home town! Even made a pic of it, a bit pity of the modern building you also see, but it was such a wonderful little place, so quiet and almost sereen! I have more pictures of our "cultural"walk, but I'll save them for Monday or so. Well, we were back home just in time for the soccer games at 16.00 o'clock. After that it was dinner time and then we had to go to the cafe, to watch the game of our team. Okay, they won, but I wasn;t nail-biting and jumping off and on my chair from the sensation! It was a rather dull match to be honest. I think they will have to act differently next Monday, when they will have to play against Slovakia! And after the game you will never guess what we did!!! Jan and I played a little game of billiard, not pool, but real billiard. Only I didn't touch a cue for about 20 years or so! But it was sooo nice to play the game again, although I missed a lot of balls, but that's obvious, after such a time you miss the "fine-tuning"LOL! I never was really good, but still could play a nice game. So now we decided that may be once or twice a week we go there on a quiet moment to play some more. You can say we had a busy day, isn;t it? More than enough rambling done I think and time for the freebie. It will be part 3 of the bragbook pages All of the Roses. Now you all have a marvellous day and a fantastic weekend! So this obvious has to be a good and joyfull day! I promised you yesterday a picture of another rosebush in my garden and yes, I have one. The rose is called "Snowwhite". When the flower isn;t open yet, it has a vague shine of pink on it but all opened it is really a white rose. And I promised also a pic of another Clematis, first pic is of the only flower blooming yesterday and second pic is from this morning, where several more flowers are showing off. They are beautiful, don;t you think? What happened yesterday? I was a nice girl, did the little shopping and made the hotchpotch, later on I also did some house cleaning, and then there was soccer to watch again. Yeah for England, they did the job and are through to the next round! And congratulations USA your team has done the same, only because they never gave up untill the last minute! Today it's the day of the Dutchies! They are rather comfortable already, but I think they better go for the full profit, you never know what can happen ! So I really hope they will show us a good match and play soccer and will not only lean back in defence! I thought Jan and I perhaps would take a little walk, but that didn;t happen. Oh well, weather stays good for the next few days, and I think during the weekend we will go out. Perhaps we will take a look at a music festival not too far from our house, called Parkpop, with the good weather forecast I think there will be a lot of public, it's in the open air. Although we don;t like too much big crowds, it's always fun to spend some time there and watch people and may be even hear some good music. Have to charge my camera, so that I can take some pics. Oh, did I show you the last cards I made for Minky's blogs? Don't think so. Here are a couple of new ones. I'll give you the links for download, may be some of you like to print them out or give them to a friend. And now time for the real freebie, LOL. Part 2 of the bragbookpages "All the Roses". Have a lovely day, and if you walk somewhere and see a quiet, perhaps a bit hidden place with a few flowers, softly say "hello", may a fairy will hear you! Yesterday it was indeed a day of doing nothing! I took some sun, while reading a bit. And suddenly my eyes were closing all the time, so I took a nap in the afternoon. I suppose I somehow still was a bit tired of the cold I had in the weekend. It's really an attack on your constitution, when water runs out of your nose all the time and that during about 1 1/2 day! I am still not completely rid of it, but it is much better, so today is a day to do something again LOL. First there are just a few things to get in the supermarket, have to get me some leek, to make a hotchpotch this evening for dinner. I have enough stew left from yesterday, so that will make a quick and easy dinner this evening. And I am sure I can find some things to do in the house! It looks to be another gorgeous day, so may be this afternoon we will make a little walk. I may even find some things for a nice picture. Another rose bush is starting to bloom in my garden. I will have a picture of a flower for you tomorrow, and also of another clematis that is starting to bloom. It's nice to see how well all the plants recovered from the "working men attack" a few months ago. ! I really thought some spots would never recover again! That proves again how strong nature can be, as long as we leave it a bit at peace. Now the freebie for today. 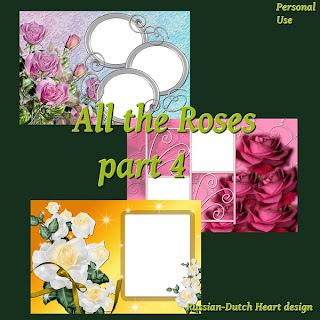 I have made you a serie of bragbookpages and it's all with roses. So obvious I named the serie "All the Roses". Each file has 3 pages in it, and if you collect them all, you will end up with 15 pages! That could make a nice little album, don;t you think so? Okay, that's it, wish you all a perfect day! If doing anything, it will be suncatching! It may not sound so positive, my post title, but in fact it is! The weather is improving, and with still a bit of the cold left it might be a good idea to catch a bit of sun! And yesterday I did several things. First I did the shopping, returned with a loaded shopping car, so thats already done, also prepared most of the dinner for today, oh, did make a little stop at the bank to leave there some bills that had to be payed(not the best thing to do, but necessary LOL). To be honest, there are some things left to be done, but it wouldn't hurt to shift it ahead to tomorrow. Then we amused ourselves also with watching some soccer games, I felt sooo sorry for the North Korean team, they lost their game against Portugal with 7-0. I hope that soon we will get a phonecall of the store where we ordered the curtains, that they are ready to be picked up. Concerning the new government, that we had elections for: there still isn;t one. That's what we expected though, it has to be formed as a coalition, but to get several parties together is not so obvious. Some of the parties are more or less having a same program, but to reach an agreement with the biggest party will be a very difficult thing to do. Oh, well, we will just have to wait and see, and then hope something good will be the outcome of all the meetings. 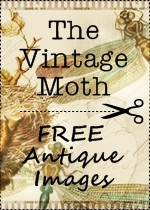 As it is really summer right now, I though it might be nice to have a freebie that's suitable to it. It is time to get out to the beach, if you are not too far from it, so here's a little kit, named "At the Shore". Sure was a "wet"weekend ! Itruly hope your weekend was better than mine. It started all somewhere Friday afternoon. I started sneezing and such and I was undergoing a real cold. All the rest of Friday and all Saturday I was distributing liters of water out of my noise. I used up about two rolls of toiletpaper, which was best to use as is is rather soft. So you can imagine I didn;t do too much during this weekend, although I wasn;t feeling too miserable. Have to say, that the soccer game of our team on Saturday didn;t make us feel a lot better neither. They won the game, okay, that's all, but I really couldn;t say it was an inspirational game to watch.I think everybody was very disappointed about it. Glad to say yesterday the flood out of my nose had stopped, and today I am feeling a lot better already. So I have to do some shopping today, as I didn;t do it Friday and Saturday. Running out of bread, and cat food and some other things. Looks okay outside, although it isn;t going to be a very warm day, already glad as long as it stays dry and may be with a bit of sunshine. And perspective for the rest of the week is quit nice, getting warmer again, not too much wind and that changed direction too, coming from the west now. So that was about all the excitement during the weekend, great hmmmm??? I didn;t check on the baby toads lately. May be I will get a chance this afternoon. Curious to see how long they will camp under the stones. Today's freebie is yet another set of quickpages, later this week I''ll start with a little serie of bragbookpages, I finished this weekend. Have a lovely day ad hopefully colds stay away from you! Think of me this Saturday! Just think for a moment of me on Saturday and cross your fingers! Our soccer team is playing then their second match! Would be best if they win it! LOL! I was a good girl yesterday, really! First I went out for the groceries, rather early and because my shopping car wasn't heavy this time I took a long detour. Weather was so nice, it would have been a shame not to take advantage of it. On the way I bought just a few Impatients, for Jan's garden. That was needed because some of the first ones didn;t survive(I think the cats duh them out !!) so now in a couple of weeks the little garden should look lovely again. When I was home again I first took a sandwich and then did the dusting and hoovering. Later we watched some of the soccer games, and even had time to contine on my new started project. Perhaps I will make some more for it, I think it looks really nice. Probably I will start posting it next week as freebies. Just was reeding the blog of my friend Snowy and she had some lovely news. She reserved the time of her holiday at her work, and it will be in October. Now she started the count-down for it, whoopee, if nothing comes between her plans, she will be going to the USA then! She will meet her Erik then and also Edna. It all will be a great and exciting experience for her. We will miss her in blogger world, although she will be taking her laptop with her, so every now and then I hope she will send a message by mail or on her blog! I think I will take "an easy"day today, after this posting I'll take a bite and then go to have a nice poodle under the shower! Pity that weather is looking a bit grey today, could be that some rain will fall, not a bad thing, nature can do with a bit of water here! They think differnetly about it in the south of France about that right now! They are suffering from floods, even already people perished because of it. All around the world it seems nature is behaving strangely. That's still one of the things we cannot control as we would like! Okay, time for your freebie, as I promised yesterday it is a mini-kit, named "Encounter in the Afternoon". Have a bit of fun with it. I hope you will have a great weekend, see you Monday again! Most of the time I always have something to ramble about, LOL, but today I really don;t know what to talk about! Nothing special happened, yesterday was an ordinary day, just did my things a bit, but not worth mentioning. Oh my, this doesn;t happen often hey??? Must say it was lovely weather yesterday. Although not really warm, the sun still shines, and in our garden temperature is always a bit higher than on the street. That is because we are sheltered from the colder winds, so I took a bit of sunshine yesterday, finishing my book of Mrs Polifax. Today I should go out for some grocerie shopping, we are running out of some general things, like bread etc. The house could do also with a quick cleaning, removing the always returning dust, and a hoovering. If weather stays the way it is now, I perhaps should do some cleaning in the garden too. Have to remove the bloomed buttons from the rosebush and from some other plants too, so that they keep producing new flowers. I have today a next set of quickpages, tomorrow I will have a small kit for you! Hope you will have a great day and see you tomorrow. I did say I would try to come up with some pictures of the soccer madness. Well, I didn;t get around too much in the neighbourhood yet, so I don't have them yet. But I have one of our window. And the great thing is, that we are almost oppisite of a tramstop, so all the time, you see people looking at it with a smile. I suppose we brighten up their day a tiny bit this way LOL. I did do some ot the things I had planned yesterday, so yeah for me! And there was enough time left to play around on the computer for me, so I have started a new project of freebies, not telling you yet what, but I think it turn out nice. Also did a little bit of the book challenge for the forum, wrote a small page again, but have to work it out properly. I also am busy of making some new sets of two quickpages, so I work on several maps at the same time. Thats nice you know, because when you got stuck on one thing, most of the time you can continue on another. Oh, before I forget, there seemed to be a mix up with quickpages set 3! I gave the wrong link, stupid me! But I fixed it now, so if you want to have it, just scroll down a bit and download it. That's about it for today, of course I am not leaving without posting a freebie, Quickpages set 5. I will take my coffee now and then get started slowly to do my things. YEAH!!! The Dutchies won their game! I must admot it easn't a really brilliant match to watch, but in this competition the result counts. I must say almost none of the matches we saw were of high quality, except perhaps the match of Germany. Must say they had a rather weak opponent, but still the way they played and carried on was impressive. But let's be optimistic. Most of the time, when given a bit time, the Dutch team gets better every match. So we hold on to that. Must try to get some things done today, there is some laundry waiting to be ironed and a pair of trousers of Jan have to be made a bit shorter, etc. etc. Enough stuff to fill up the time of day. Oh whoopee, what a nice perspective LOL! Still we shouldn;t complain, at least we HAVE a house to clean and, which means a roof over our heads. May be sometimes we our going through a bit rougher time, but we are still far better of than others! I'll take my second coffee now and then get moving around. But first I have a freebie for you. A little kit, named "Memorable Days". You probably think I am rather nuts to be so enthousiastic about soccer games, but it is really a loved sport here and then, why not have some fun with it? Today is important for our team, they are playing their first games against Denmark. We will watch the game in the cafe with some other nutties together, I already got out our orange clothes and other stuff. I said to Jan, if we will watch the game in the cafe then we should be dressed for it too LOL! Hope I can get some pics of it! I still did some designing stuff in the weekend, result a new blog layout. Also I made a new challenge in the forum, Edna came up with,. Making overlays and/or elements of pictures we made ourselves. Outcome rather pretty things, take a look in the forum! 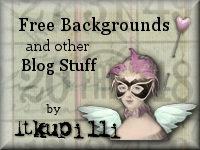 And the stuff will be as a freebie on the different blogs too, wow! 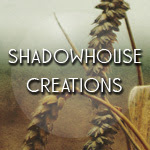 http://thestarchildrencyberhome.blogspot.com/, scroll a bit down, you will find it! And I tried to make a picture of the baby-frogs(or toads???? help!!!) in my garden. Even made a pic of perhaps father or mother, taking a rest on a stone nearby, it's not all that good, not really sharp, but I will show it anyway. I think it says that the garde is rather well-balanced, if those animals pop up in it. Can you see the babies on the 1st pic? Had to take it with ne hand, cause with the other I| had to lift up the stone. They look all grey/brown, covered with soil, already much bigger then we first spotted them. Funny hey? Okay, have to get busy a bit. First Jan has to go to hospital, to his doctor, for control appointment, and hear results of tests he had again, the check up. I want to take a shower and have a good scrub under it, LOL, and then take something to eat and get dressed in my soccer outfit yeah! The match starts early afternoon . Time for the freebie, I suppose. Another quickpage set, sorry, but This week there also will be some kits, okay? Still I think these tow pages are real nice! Evenrybody, have a great day, and cross fingers for our team, that they will play well!!! YEAH!!! Yes, IT is starting today! What??? The soccer event of course! LOL. In fact it started yesterday already, with a concert in South Africa. I didn;t see it yet, but Jan took it on dvd, so we can look and listen to it later. But today the 1st match starts in the afternoon: South-Africa- Mexico. Even in this match I am not going to watch it neutral, in fact it is much nicer to watch if you pick a favourite for each match. But in this on it has to be South Africa! Why? Well, because my friend Minky is living there. I really wish both teams good luck, but I hope it will end well for the South Africans. For us Dutchies it all starts on Monday. Then WE( we always talk about the team as WE, LOL)have our 1st match, against Denmark. So we have to be ready with all the things necessary to do today(hoovering, dusting, washmachine) at about 15.15 o'clock p.m., yeah!! I forgot to post some pictures I took in the garden, few days ago. Finally the first poppy came to bloom. I love those big ones! I hope to receive a cut from Heidi's poppies to,she has the same but in a deep orange colour and one dark purple! The another of one of my clematis, now really in full bloom. and Dicky Dik, with a far away look on his face, dreaming about??????? Oh, you know what Jan found in the garden? We have a little "rocky"like part and he was removing some weeds from there and re-arranging some stones and he called me to look. And under a big stones, where was alittle hole, we saw 5 little frogs or perhaps toads!!! We had every year one or two frogs jumping around the garden, but now we seems to have a whole family! Oh, I don;t mind. The cats will have a fun time later on, they like to chase after them(but I never saw them catch one!). So that's about all the news for today, Remaining your freebie to post. Another set of 2 quickpages, one a bit "wild" and the other with a nice quote on it. Hope you can use them. It stayed unsure for a very long time which party should become the largest. It seems now that the VVD (you could say liberal-democrates, so tension to the right) will be the biggest but it's only with a difference of one seat in the chamber from the PvdA( more social orientated party, so to the left). Hmm, neither one of them has the majority to govern at their own and also together they don;t have this. Another big party , the CDA(Christian-Democrates) lost really almost half of their seats in government! The worst thing that happen, well, in my point of view, is that a rather new party, the PVV( very much to the right side, almost a bit extreme) gained a lot of votes and are the nr.3 in the list. I am not much of a politic- expert at all, but this party is shouting a lot, has a very intolarant way of thinking about several issues, and okay, in a democracy they have the right to express their view, but the worst thing of all is, that they have no, or silly solutions for all the problems our ountry is having at the moment. Hey, only my idea, but I don't think I am totally wrong! Still I was glad some smaller parties gained a lot of votes, resulting in seats in the chamber, that are a lot more based on a social-reform base. But I have the feeling a lot of people weren't happy with the government as it was, and blame it for a part on the CDA, and not knowing what to do, they either didn;t go to vote or gave their vote to the parties on the right, expecially the PVV( caling itself the Partij voor de Vrijheid, roughly it means Party of Freedom).Bad thing I think. Now their has to be formed a new coalition to govern, which will be not an easy task, as several parties already annouced(till now!! you know politics!) not to be willing to form a coalition with this PVV. Hmmmm, I am very curious how the big parties will solve this problem. Not an easy task is laying ahead of them!! Getting this country back on track again is a difficult job, question is how the necessary savings or economies will be spread. One thing is for sure, everybody will feel it in the wallet, only question is how much and who is going to give the most? The strongest shoulders, as people who have a real big income, and perhaps the banks, or everybody, and then in those "everybody"the common man will be the one who will have to pay the bill at the end.! We will see what happens in the next few weeks! After we did out voting yesterday, the temperature was so nice, that we took a little walk around. Only thing that wasn't so nice, was that it started to rain again. By the time we arrived home again, we were a bit wet! I don;t know if it's the cause of the cold Jan seemed to have caught. He has some problems with a bit of soure throught, even seemed he had a bit of temperature yesterday evening. I hope it will be better with him today. May be I should buy a coughmixture, that's about the only thing he would take in as a medicin. You know, men are difficult most of the time, taking some medicine!!!! LOL. Well, enough rambling done, don;t you think? Time for a second set of quickpages(yes, at the moment that is all I have to offer, the designing is having a break down at the moment LOL, yes, inspiration is there, but not for the designing of kits or even quickpages, I have to admit). Today we have election day, the result will finally end up in forming a government again. So this should be an important day for the future of our land again. We will have again a coalition, as we always have, but as there are several possibilities I am a bit curious what we will end up with. As we find ourselves in an economical crisis, as a lot of countries in Europe do, it is rather important how the coalition will be. We all know there are needed some severe decrees and none of them will be liked. But it can make a difference in which way they will try to retrench or economize in the expenses. One thing is almost for sure: the "common"man will be feeling it the most in his wallet, alhough some say they will do their utmost to "spare'them. Wait and see! There is some sad news to be told. Mnky is shutting down for the moment the "Starchildren Project blog". It was meant to be a blog that offered great freebies, but also was asked to make a little donation, if possible, when you downloaded some things. But it seems, that she received but a very, very few donations, although many and many downloads were done. So she decided to close down the blog for the moment. Still all the other blogs will still maintained. It's a pity, she had to make this decision, I thought it was a great idea, but sometimes people aren;t ready for great ideas. It doesn't mean she has given up all the project. She will be raising money for it through her Sanctuary, but in a different way. For most of the day my plans are still "open" LOL! As always there are things to do around the house and perhaps I will do some little jobs. But I also should keep up the "storage"in my computer, talking about making freebies. I am so busy with other things that this is a little on the sidetrack. Let's see what I can do for the rest of the week. Still I have a little freebie for you today. I was trying out some things in PSE8 and ended up with some quickpages, which I devided onto several sets. And here is the 1st one. Although not a whole kit, I still hope you can use it. Although notas brilliant weather as it was on Saturday, it still was nice enough to have a little walk. So I did and was happy about it. Slowly the forum is getting back in it's former life, LOL, meaning the challenges are put up and oh my, we have some tough ones!! And also a bit different, which I like. But now Snowy has come up with something, oops, not the easiest thing to do! As we did two times already the Bookcover challenge and last time even with a backcover, she challenged us now to make a illustrated story, that may be short story or a little novel, fiction or non fiction, that's all up to us. And then each month a story or page of it should be done. Now you can call that a CHALLENGE!!!! We all like to write a bit, otherwise we wouldn;t have a blog in the first place, I suppose, but this is different kind of work! But I think I already have the fist lines in the head, now only to continue it and make it not too long, and more or less logical way. Not quite sure about the ending of it yet. Even did a bit of designing, and started on the brush challenge, but that will take a few days, I think, because the real inspiration for it isn;t there yet. Remains your freebie, LOL. It's a mini-mini kit of 4 pages and 3 elements and a wordart. Not too much, but I hope you still can use it. It's called "Little Princess". Soccer fever gets grip slowly! Partly is was a good weekend, spoken of the weather. Saturday it was a marvellous day, a real summer day, so we made a little walk, visited a small music event in the neighbourhood, just wanted to know what it was. It was fun to see but definately not our kind of music! But I love to sit for a while and look at all the people. And who did we meet? My brother in law Rob! That was nice, he is such a sweet guy, you know. Well, after a little while Jan and I went home again, out of the terrible noise of the music! But before we left home, we did watch another friendly practise soccer game between our team and a Hungarian team. We did win it easily, 6-1, so that gives a little bit of confidence for the upcoming Wrold Championship games. Sadly enough, one of our best players got hurt, and may not be able to take part anymore.! It seemed he had a hemstring injury, but probably today we will hear more about it. Still slowly Holland is undergoing a it or the Orange-fever as we call it here. You cannot walk anywhere without seeing some orange flags, and all kinds of other decorations in the streets and homes and certainly pubs. Hmmm,let's hope all those people didn't do that work for only 3 games. I really hope we will get much further, of course everybody hopes the final, but that is a looooong and difficult road to go! Yesterday we went for a short visit to Heidi, for her birthday. It was nice, we even got a chanve to talk a little bit to eachother(on those occasions you normally have no time for it LOL), she was looking allright. I definately have to try to pay her a visit this week, may be we even can make an appointment to go soon to the garden centre, before she goes on a holiday. That is next month and we will be baby sitting again the rabbit, bird and even the goldfish LOL! Our cats will be all disturbed with all those animals around hahahaha! Weather was not as good as on Saturday, very cloudy, although temperature still was nice. But it started a bit to rain, they predicted even thunder and lightning, which I didn't see or hear(could have been during the night, I must ask Jan for that). Still cloudy today, may be a good day to do some things around the house, we'll see. Freebie today is a little kit, named it"Close Together". Have fun with it and I hope you will have an excellent day! Already for a long time I wanted some new net-curtains and one set of curtains for the room. Specially the net curtain at the back of the room to the garden are looking terrible. Well, they did their job for a long, long time but nothing to do with them anymore. When I wash them, they don;t get really clean anymore and even here and there some holes and such appeared. But it's not that easy to find something you really like!! Must admit I am a bit picky LOL! But yesterday Jan and I went to some stores I know they have a huge choice and not too expensive and even make the curtains for free. I am no good at all making them, on top I don;t have a sewing machine. Boy, oh boy, it took us some time to decide which cloth to take(sometimes difficult, cause Jan and I sometimes have a totally different aste, get it????) Still we did manage to find something we both like. So now we will have in a few weeks new net curtains for the back AND for the front window and also curtains for the front too. The ones hanging there now are also far over there freshness date!!! And every evening when you close them they are annoying you more as looking at them. It did cost a bit of money, but I think we will be very happy when they hang there in a few weeks. Tadaaaaaa, we did that finaly!!! Now what really must be changed also is the rug in front of the couch. Also beyond the point of cleaning really,so we have to find something to replace it, but I think we already saw something nice and that really for not much money at all. Okay, perhaps the quality will not be the very best, but good enough for us, as we don;t have masses of people walking over it every day. So you could say it was a productive day yesterday! Even managed to do a little bit on designing in the evening. Now I could try to do something with the new colourchallenge of the forum and there is more to do there. But I also want to go out a bit, with the nice weather at the moment and Sunday we have to do a short visit on Heidi, because she is having her birthday then. I recently talked to her on the phone and she is doing much better now. The wound is almost healed, but the most happy thing about it is that she has no pain anymore. So that is some good news. And the freebie ? Yes I have one for you. It's a set of 3 quickpages, named them "Pleasant Dreams"
So I am planning to have a summery weekend, enjoy the sun, perhaps take a few pictures, and wish you all a terrific weekend too! It really looks to be a gorgeous day! Oh yummie, we are goin to have some wonderful days, the forecast says that it will last untill Monday!!! Let's hope so. Yesterday I was able to do finally some challenge work. Still had to do the template for May and then I steamed on and did the one for June too. They are not perfect at all, but I am proud to say I managed to get them done all in PSE8. Oh, could it be true that this girl slowly is learning how to handle all the features in it????? Let's stay reasonable, I just discovered a few things, but there is still a learning provess ahead of me of at least a year LOL! I wonder what we shall do today? No idea yet. There always are little or not so little things to do in the house, but we also should profit of the fabulous weather. I have a little kit for you today, I named it "Strong Love", in nice soft colours. Have a fantastic day, now I must rush on to post the daily download in the forum!